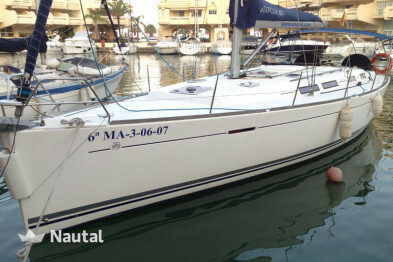 The is a beautiful sailboat, with 12.50 meters of length and, due to its technical characteristics, it reaches the highest levels of its segment, allowing an exceptional length of flotation that improves its speed and passage by wave, making it a sailboat Exceptional for navigation and customer comfort. 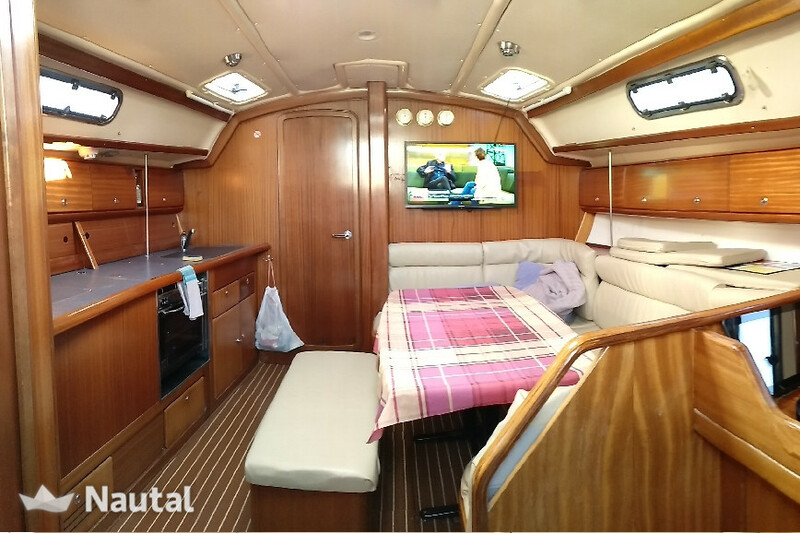 - Three double cabins (two aft and one in the bow, the latter being somewhat more spacious than the previous two and with bathroom en suite). 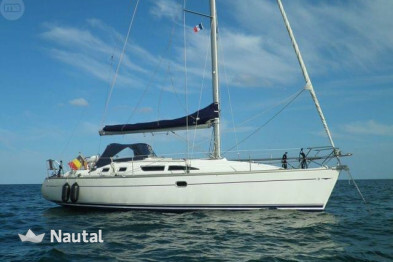 - Two full bathrooms with shower, one electric aft (shared by the two cabins located in that area of ​​the sailboat) and another manual forward (integrated into the bow cabin so it is for the exclusive use of the client housed in this cabin). - Interior: area that has a central table and a set consisting of bench and U-shaped sofa that allows a comfortable stay for six people, finding the set up beige. It has an LCD TV and a collection of marine or nautical-themed films. By having pendrive input, the customer can bring their own movies if you wish to see them on board. 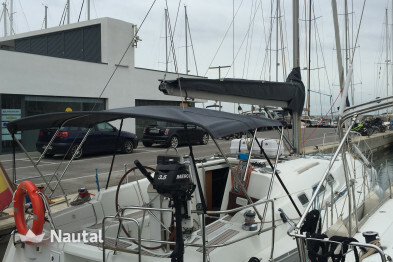 - Exterior: cockpit area (in nautical slang, the open chamber of a sailboat is called a "cockpit" where, as is the case, the wheel is installed and from which the main sail sheets can be handled and of the jibs) where there is a table and two benches with upholstered cushions in beige, which allows a comfortable stay for six people and where the customer can from an aperitif to breakfast, lunch or dinner, enjoying the landscape, the temperature, the sunrise or sunset. - Bow deck with mattresses where the client can relax, sunbathe or contemplate the stars (only from May to September, both included). 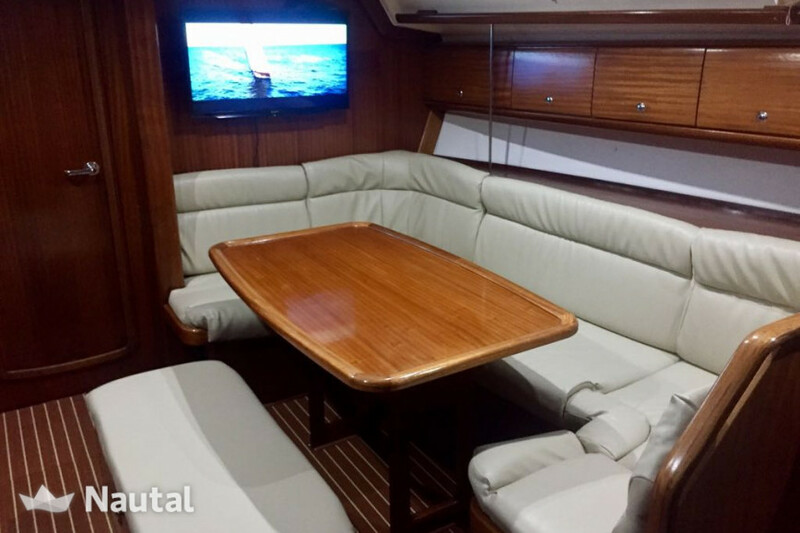 - Starboard deck and port deck with mats where the client can relax, sunbathe or gaze at the stars. It has an awning which allows creating a shaded area to avoid the sun in its hours of greater intensity (only from May to September, both included). - Stern bath with awning which allows creating a shaded area to avoid the sun in its hours of greater intensity (only from May to September, both included). On land you can buy your favorite foods and drinks to consume on board. You should bring the purchase to port and we will help you to take it on board so that you can stow it. Before boarding, we will provide you with an orientation shopping list that you can use if it is your wish or give you ideas on how to organize. If you prefer that we make the first purchase for you and you find it already on board duly stowed on your arrival ("Purchase on board"), please let us know at the time of booking. This service "Purchase on board" (carrying out the purchase, transport and stowage) has a cost of 60 euros and is available on journeys of one (1) week. In case you want to hire a catering service ("Catering on board") that includes breakfast, lunch and dinner, you must tell us at the time of booking. This service is available on one (1) week trips and it is necessary to indicate that you are interested in this service at the time of booking. We will provide possibilities and budget for catering and the cost of providing the service. The services "Purchase on board" and "Catering on board" must be paid in cash and on board the sailboat, at the time they are going to be lent. Do not forget that it is also possible to visit a restaurant and for this, the boss will provide you with recommendations, as well as the reservation process. In addition, the skipper will take you ashore on the dinghy and pick you up when you finish. We also facilitate contact with car or motorcycle rental agencies, as well as taxi service in and to the airport. This service ("Reservations") is free. 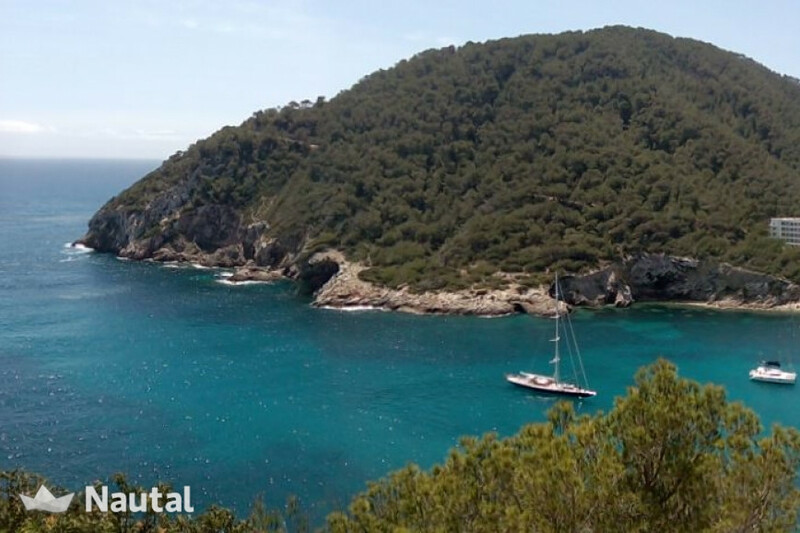 In the summer months (from May to September) we organize trips in Ibiza and Formentera in which, we assure you, you will enjoy a unique and unforgettable experience, through which and starting from the pleasure of navigation and life on board , you will get to know natural surroundings and places of singular beauty and marine biodiversity, at the same time that you will participate in the island's culture through its gastronomy, its wines, its architecture, its history and its legends. 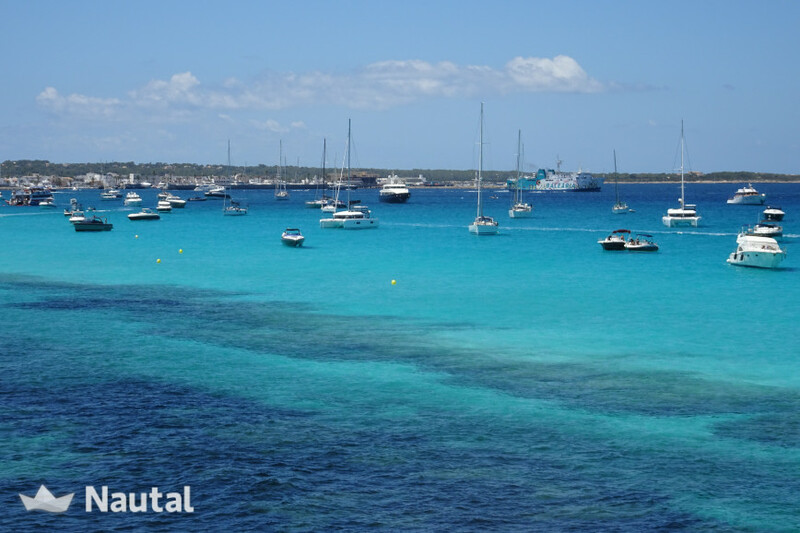 You will enjoy your holidays in Ibiza and Formentera in a different way. 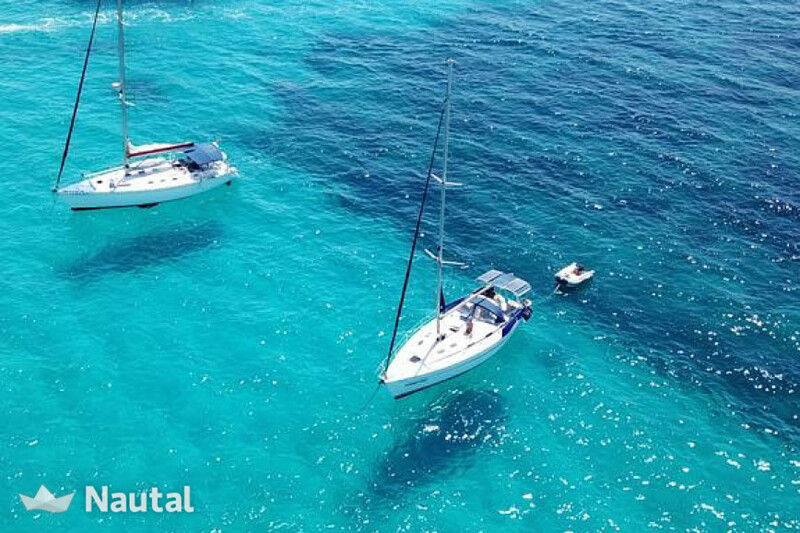 Sailing, you will discover the gentle line that draws the coast of the islands and its wonderful coves, and in them we will anchor so that you can walk through the white sand of its beaches, enjoy its seabed doing snorkeling, or take a bath, outside the hustle and bustle, its crystal clear waters and emerald color. You will also know life on board. 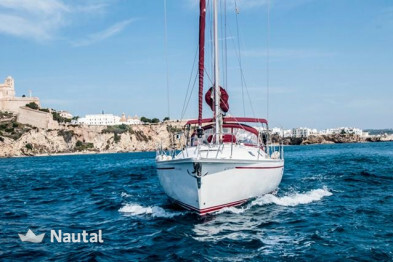 You can have breakfast, lunch or dinner on the sailboat, while you enjoy the sun and the sea breeze, contemplate its famous sunrises and sunsets or admire the light of night and its sky dotted with stars. Simultaneously, you can, if it is your desire, discover the secrets hidden in the small island towns, enjoy their pace of life, calm and leisurely, their local and international cuisine (wonderful duality that characterizes everything in these islands), its wines, its fashionable premises, its architecture, its history or its legends. No previous experience is necessary and if you want to learn how to sail, you can do it under the supervision of the skipper. We will contact you and your group once you have formalized the reservation in order to know your preferences and, according to them, design the best route for you to live a unique experience !. 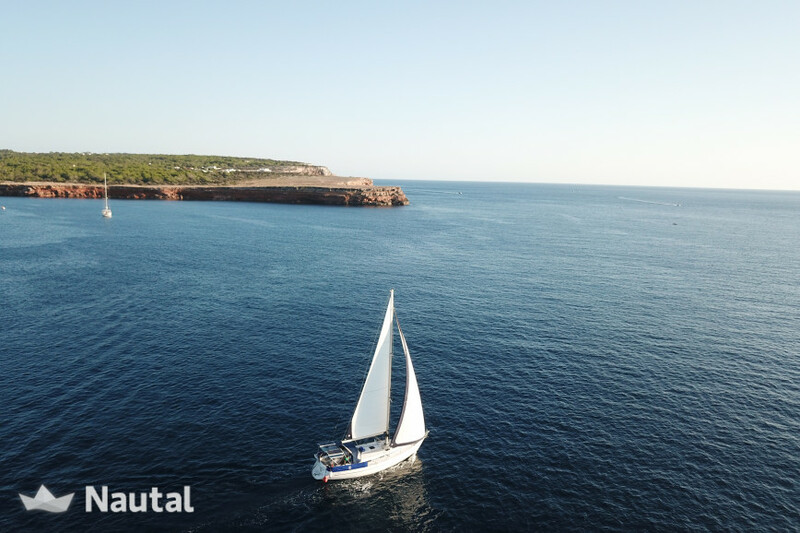 Outside the summer months, we sail on the Levante coast and design nautical experiences based on the availability of the client and the weather. Joseba Martinez de la Torre came into contact with the sea before, even, taking his first steps since he is the son of a Captain of the Merchant Navy and, therefore, belongs to a family of sailors. From a very young age, he escaped from the School to the fishing port of Santurce (Vizcaya) to contemplate the coming and going of the boats. So much persisted that, with barely 12 years, they let him govern the boats that, with a capacity of 60 passengers, moved at that time to the Biscayan from one margin to another of the Ria del Nervión. With 19 years he embarked on a merchant to "see the world" and sailed along the coasts of northern Europe and Africa, our country and the Mediterranean coast. He returned and, although dedicated to a more "traditional" profession, he always continued sailing through seas such as the Bay of Biscay or the Mediterranean or in oceans such as the Atlantic or the Austral. 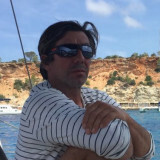 From an academic point of view, Joseba Martínez de la Torre was trained at the Nautical School of Bermeo (Vizcaya), a vocational training center in the nautical sector whose degrees are approved by the General Directorate of the Merchant Navy belonging to the Ministry of Development. Account, therefore, with the formation of greater recognition and prestige of our country. Check at the end of this section, the titles you have. 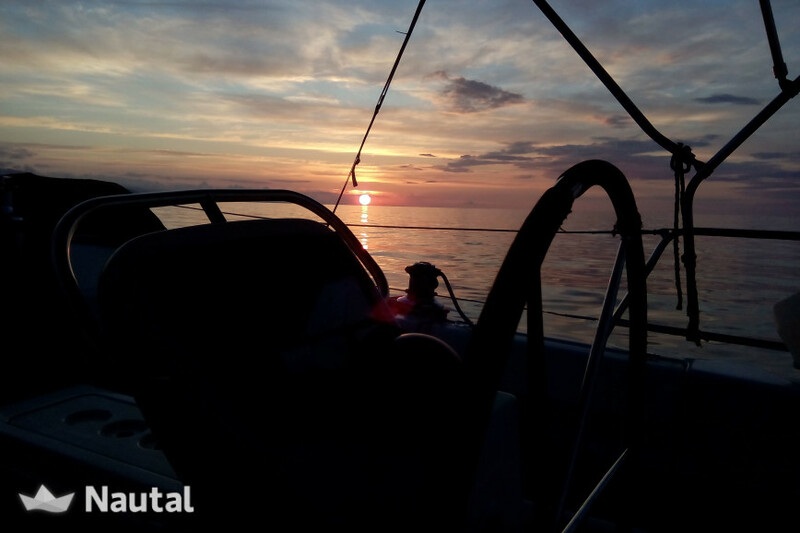 The commitment of Joseba Martínez de la Torre with navigation and the nautical world is not only professional but also personal. The consequence of this commitment has been its active contribution to the dissemination, knowledge and practice of navigation. In this sense, promoted in 2007 the creation of the first Sailing Association of the Left Bank of the Nervión of which he was one of its responsible. 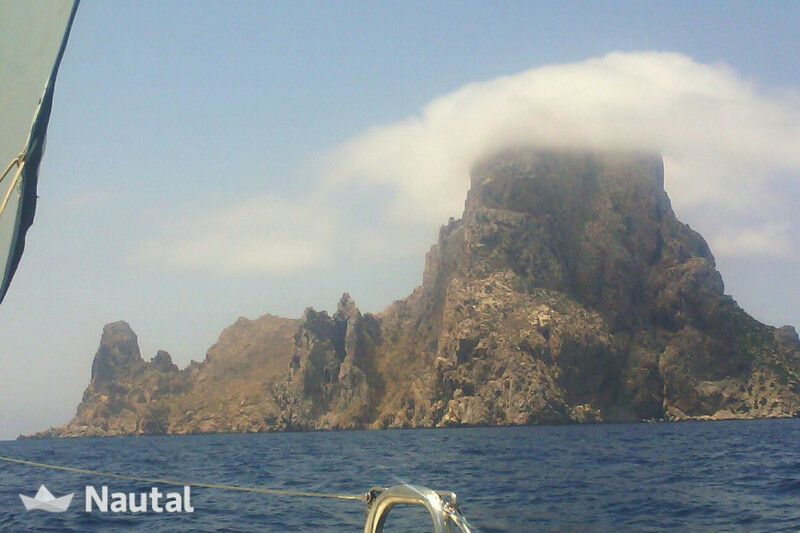 He has also designed and organized multiple regattas in the Cantabrian Sea, such as the "Ruta del Hierro". This commitment is maintained today with the same and only objective then: to share with others their great passion, navigation. Muy comodo y equipado, atencion y asesoramiento continuo. Una maravillosa zona donde tomar el sol. Shower inside and outside. Hot water in the bathrooms, in the kitchen and in the outdoor shower. 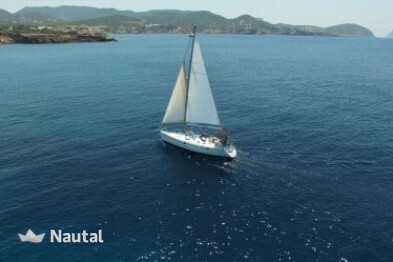 Special discount 50.00% From May 17, 2019 until Jun 21, 2019 , for all bookings for more than 7 days of charter (discounts cannot be combined) . 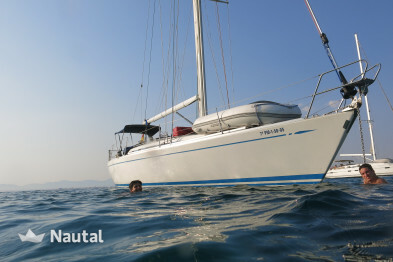 Special discount 40.00% From Jun 1, 2019 until Jun 22, 2019 , for all bookings for more than 7 days of charter (discounts cannot be combined) . 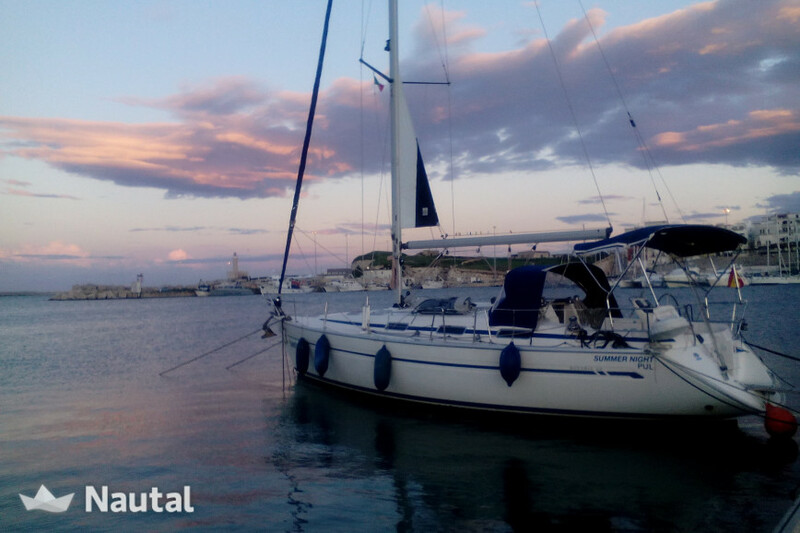 Nautal accredits that Joseba is an expert in Port de Sant Antoni and will recommend the best sailing routes for you. Anything else you would like to tell Joseba?